Achieve a more granular and comprehensive view of your portfolio through multi-dimensional analysis including; Factor, Traditional and Proprietary techniques. CUANTSERV's Portfolio Analysis delivers a multi-dimensional portfolio snapshot. This allows for a view combining traditional techniques, a factor perspective and proprietary models. 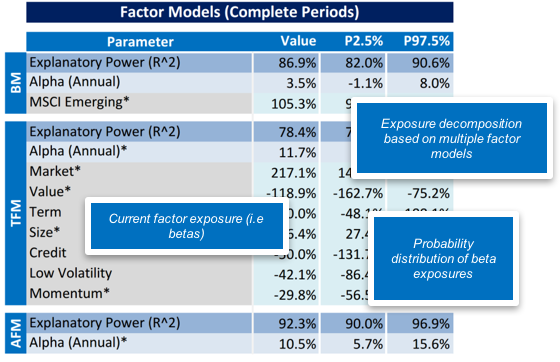 Factor Analysis is an important component to portfolio management which has received increasing attention over recent years. With investors demanding further knowledge, transparency and liquidity the use of factors has gained a place in the decision-making process of an increasing number of investment managers. CUANTSERV’s Portfolio Analysis represents the initial step in managing and understanding a fund, investment, portfolio or mandate. It covers the most basic aspects such as risk metrics, alpha analysis, performance & attribution as well as scenarios. 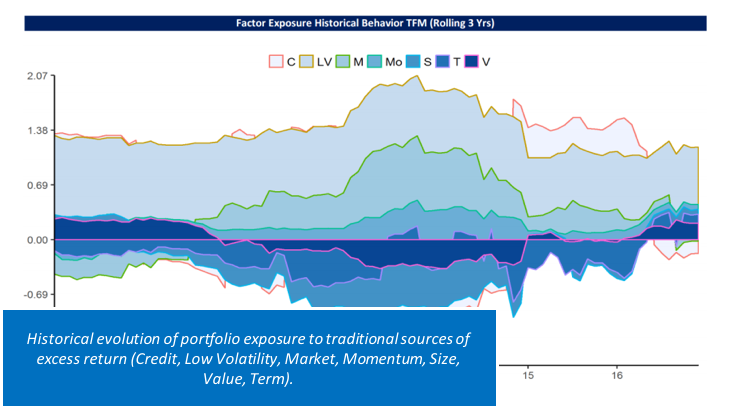 Portfolio Analysis includes most widely known risk and performance metrics for each asset class. Alpha Analysis provides insights into the nature, level and statistical significance of alpha. Risk-adjusted alpha allows for fair comparison by adjusting by leverage. Finally, Scenarios describe behavior under situations of stress in order to measure tail risk on a relative and absolute basis.